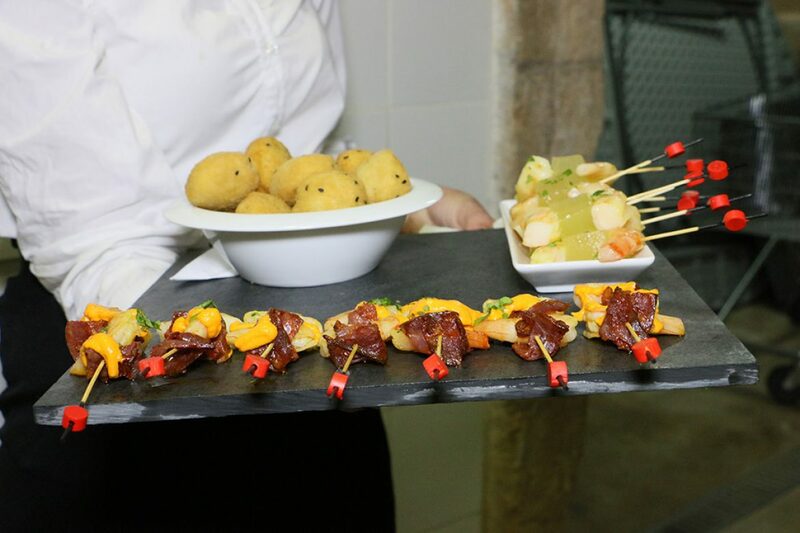 Many times, when we want to organize an event or a special meal with friends, work companions or family, we juggle many possibilities: doing it ourselves, asking somebody we know to help us cook, or hiring a catering service. It could be more economical to do it ourselves, but if we have a lot of guests, we can only opt for a buffet-style meal for self-service. If we want to offer a more special menu, where guests can enjoy their meal at a leisurely pace, seated at the table, the best choice is a catering service so we don’t have to keep jumping up and down, going to and from the kitchen. Fosh Catering, not only offers the best personalized cuisine with the guarantee of 1 Michelin Star, top chef, Marc Fosh, but also provides the best team of waiters. These professionals not only have lots of experience, but are polite and kind, and will be making sure that everything goes to plan, so our clients can enjoy the occasion and delight in the delicious menu being served. Fosh Catering also helps our clients with the provision of tableware or any other requirement. We are a versatile company that tries to fulfil every need for any event. We also advise regarding the best alternatives when choosing a menu and offer an allergens chart so that guests have the option to enjoy a freshly prepared, made-to-measure menu, offering a service similar to top luxury restaurants. All in all, we are your best catering option, allowing you to focus on other aspects of your event. If you want your occasion to be unforgettable…. then do not hesitate to contact us. Together, we will find the best way to make your event an award-winner! What are you waiting for?